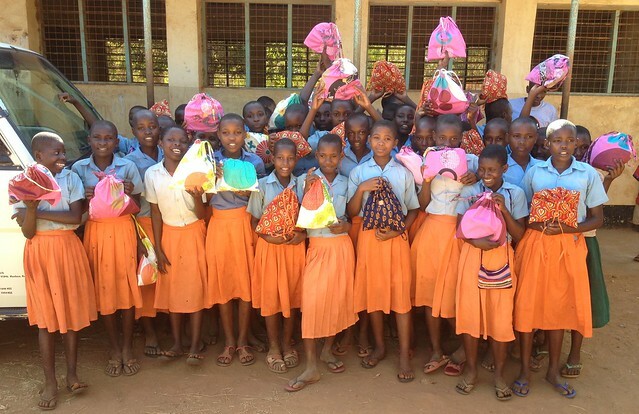 We often use the hashtag #MakingaDifference when posting updates to our donors and supporters, this blog is all about how we are making a difference to the lives of many young girls in Kenya. 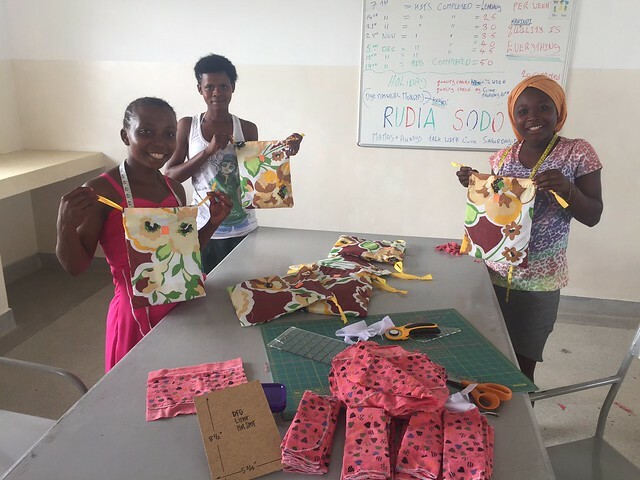 Rudia Sodo (DFG) was set up in late 2016 under the tutelage of Carrie Grubb from Utah with Bethan launching the new idea, in our sewing room we make reusable sanitary protection kits which provide a lifeline to young menstruating girls in Kenya who sadly cannot afford to buy sanitary towels each month. Many do not attend school during these days because they fear the embarrassment of stained clothes as they often use old rags or newspapers as a substitute. 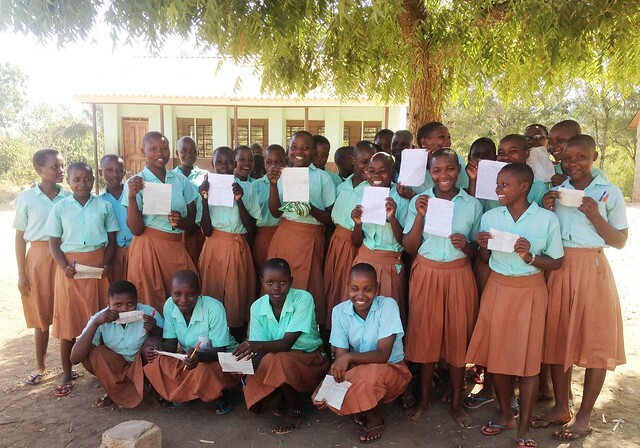 During 2017 we promoted the kits to difference schools & organisations whilst ensuring our kits were made to a high standard by local girls, giving them a chance to earn a monthly wage. We have been inundated with enquires from so many schools where the pupils are desperate for the kits but sadly the majority of them cannot afford the 700kes (£6.00/$7) to buy them. As a result we have been fundraising in different ways to raise the money so we can cover the cost of making and distributing the kits to these girls. 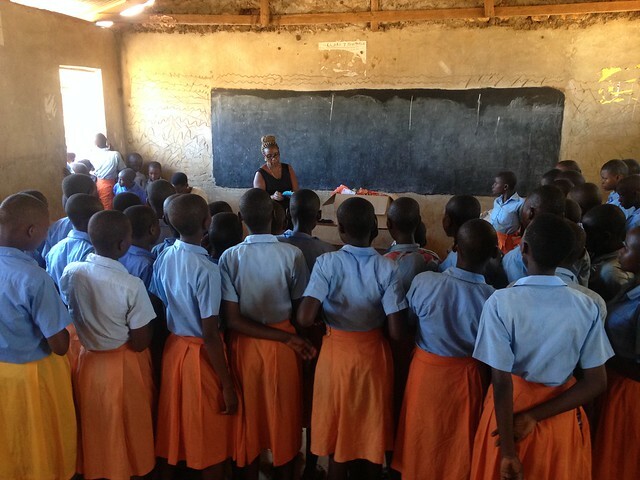 Over the past eighteen months I have been very involved in this and now Cynthia Chebetty one of our girls from The GLO is also assisting me when we do presentations at various schools and homes throughout Kilifi County. Recently we revisited M’Buyuni Primary School to give an additional fifty two kits out to girls who did not receive them last year as well as other girls who had just started their periods. The response was unbelievable with the girls all coming to tell us how the kits had made such a positive impact on their monthly attendance at school and their personal hygiene during their periods. We felt elated to have made this different and to receive such heartwarming feedback. In total we have donated 165 kits to this very needy school, every pupil came to me smiling with words of thanks & blessings to everyone involved. Over the next month I hope to get some orders as I am very busy having meetings with County Government Officials and a charity operating the area with a secondary school. Whilst we do try to get enough money to cover the kits we are discovering that the majority of the girls we come across are very poor and live in abject poverty so every donation we get from our sponsors in the UK, Ireland and the U.S. means we can give another girl the confidence to attend school right through the month as the kits last for up to three years. Together we are #MakingaDifference and will continue to do so with your help !! What a wonderful achievement to celebrate on international Women’s Day!